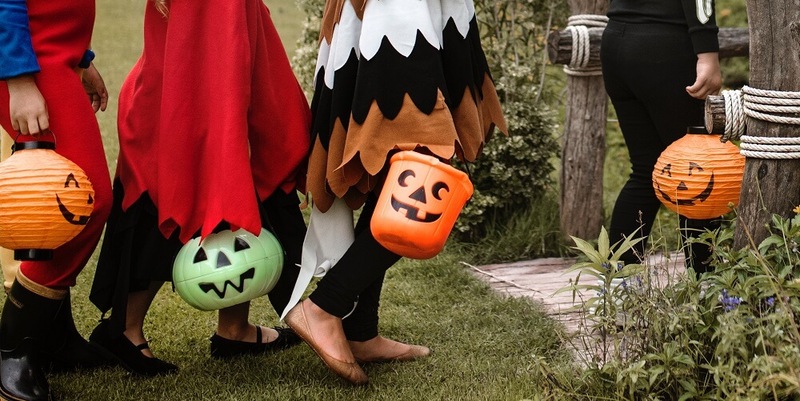 Scare the neighborhood trick-or-treaters with these tips on how to decorate your home for Halloween, without spending too much money. Want to be the scariest house on the block without breaking the bank? Become the talk of the neighborhood with these tips to decorate your home inside and out for Halloween! The road to October 31 starts with your front porch. It’s not only the gateway for trick-or-treaters to come get their candy, but also a perfect way to scare your neighbors, or even your spouse after a late night at work. 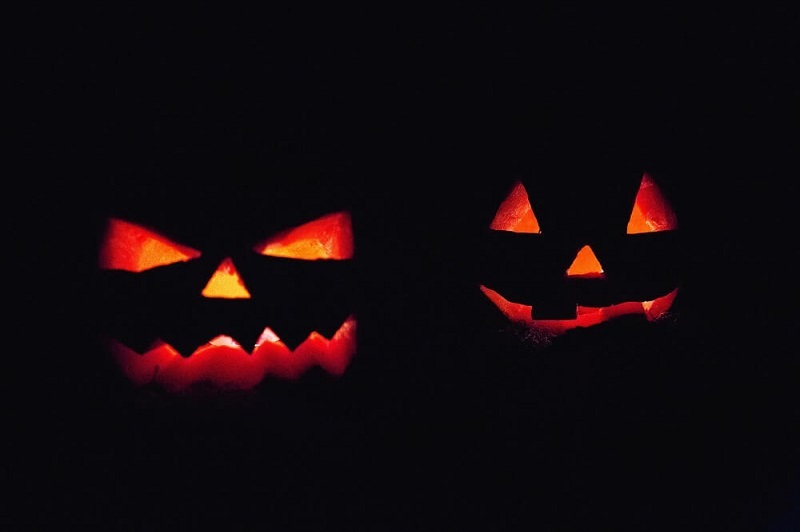 The most symbolic figure of Halloween may just be the jack-o’-lantern. Carving pumpkins makes for fun craft time with your kids and it’s super cheap. Pumpkins run for about $5 at most stores. Get one for each family member and decorate accordingly — whether you choose a creepy or silly theme (or both), there’s no doubt everyone will enjoy getting in the Halloween spirit. Place your family of pumpkins by your front door, and if you want to light them up, buy some candles or battery powered lights. Create a spooky scene with a fog machine on your front lawn! While some fog machines are high-end and can run for hundreds of dollars, we found this one for as low as $37! This particular fog machine works best with a timer, so you can set your fog machine to go at night and not have to remember to turn it off. It comes with a wireless remote so you can hide the machine and turn it on when trick-or-treaters arrive. If you have a garage door in the front of your home, it’s the perfect canvas to get even more creative for Halloween. You can be simple and attach some decals of bats, scary pumpkins and old, hollow-looking trees for a scary forest scene. Or you can get hi-tech and buy a projector that can light up your garage door with your favorite Halloween figures. An easy way to decorate the inside of your house for Halloween is by using nothing more than fake spider webs. 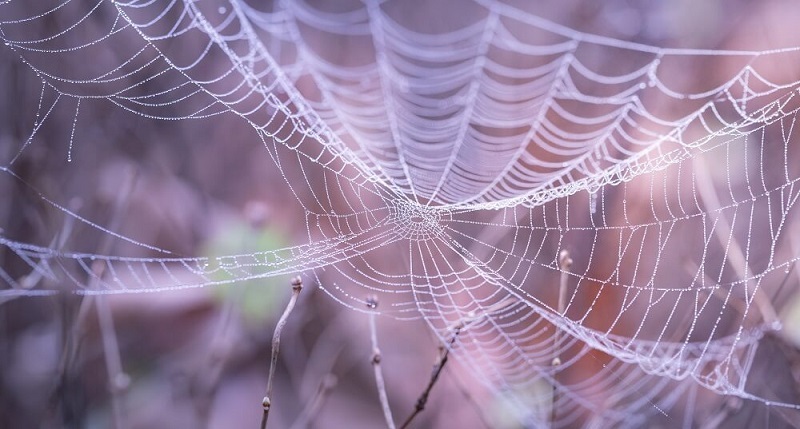 Buy a bag of polyester spider webs and stretch them all around your house — pin them to a wall, intertwine them around your staircase, place them on top of a bureau, or hang them on your window. Add some plastic spiders to multiply the gross factor! Alexa is great for Halloween parties , too. Ask her to play Halloween music or spooky sounds during your party and your guests will be entertained — and maybe a little freaked out. Take these tips into consideration, and you’ll be scaring your neighbors in no time!